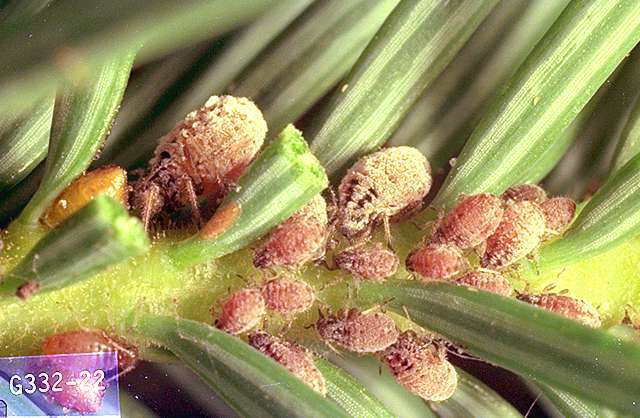 Pest description, and damage These aphids infesting Douglas-fir are large insects, up to 0.2 inch long. They range in color from gray to brownish to black. 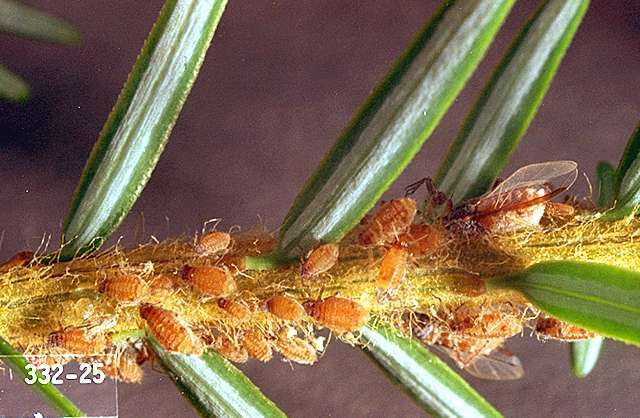 Aphids establish large colonies on the twigs, but rarely are found feeding on needles. Feeding produces a honeydew that promotes sooty mold on foliage and underlying surfaces. Yellowjackets and ants may be found in tree canopy foraging for honeydew.